"We gotta use some common sense here. It's quite obvious that a person cannot pay that kind of money for their medicine," he said. A staunch Republican, Hatcher was one of thousands of current and retired teachers who called their state representatives, explaining the effects the changes would have on them — prompting legislators to file bills to help them in the special session. Gov. Greg Abbott then put the issue on his list of priorities for the 30 days. Hatcher's state representative, Charlie Geren, a Fort Worth Republican, joined 129 other House members Tuesday in voting to take $212.7 million from the state's Rainy Day Fund — a savings account largely fed by oil and gas production taxes — to put toward temporary relief for retired teachers. The Senate voted to put $212 million into the health insurance plan, instead using an accounting maneuver to borrow money intended to pay health care companies that provide Medicaid, and make it up in a later payment. Sen. Jane Nelson, R-Flower Mound, who wrote her chamber's bill, called the House's method of dipping into its savings a "false promise" for long-term relief. Rep. Trent Ashby, R-Lufkin, author of the House's version, likened the Senate's method to charging hundreds of millions on a state credit card, not a "fiscally prudent thing to do." 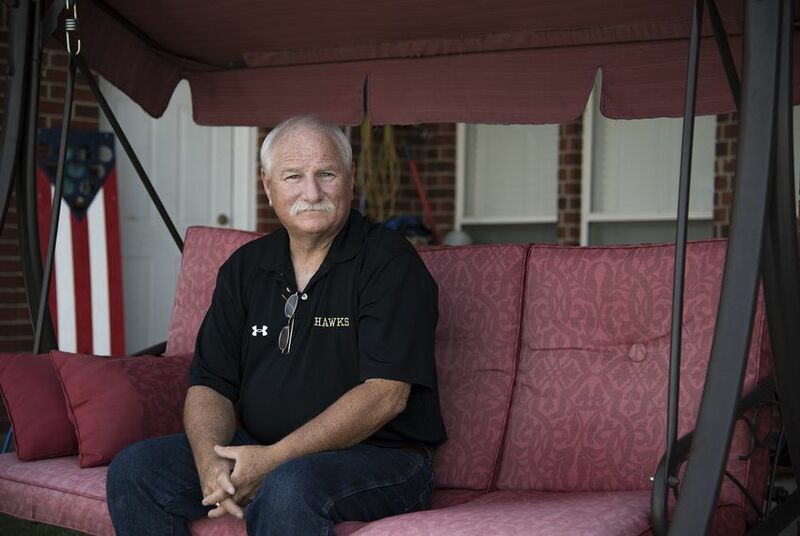 Many retirees, like Hatcher, would still fall through the cracks and get little to no relief. But both plans would cut deductibles in half and reduce premiums for some retirees. Now the House and Senate have to figure out a compromise, or end up doing nothing for more than 1 million current and retired teachers who make up a strong voting bloc. "If things go poorly and they feel like they can't afford to live, they're probably going to be more conscientious about who they're voting for," said Tim Lee, executive director of the Texas Retired Teachers Association, which lobbies for the retirees. He has testified before House and Senate committees in the past few weeks begging them to put aside their differences to fund the legislation. "Whatever the Legislature doesn't push forward as additional funding is going to be paid for out of the pockets of retired teachers," he said. New Braunfels ISD educator Stephanie Quinn, 39, comes from a family of teachers and strong Republicans. For the first time this year, she is considering voting for state leaders not based on whether they are Republican, but based on whether they support teachers — even if it means voting for a Democrat. She started a petition last Saturday demanding Abbott and state elected officials make state health care affordable for both current and retired teachers. By Wednesday evening, it had received more than 50,000 signatures. "If this movement keeps growing the way it is, it could definitely affect the way people vote in March," she said. Quinn's mother, Debbie Coleman, 63, retired in June after teaching for 35 years. When she first decided to retire, she chose a plan where she would pay just $400 before her insurance started to cover her medical costs. Now, just months later, she's expecting that amount to balloon to about $3,000, or $1,500 if legislators figure out a compromise. "When I first started looking into [retirement], it looked like a much safer situation than it is now," Coleman said. She was a Democrat as a young woman and switched to the Republican Party when she got older. "We have to look at our futures. You have to be loyal to your family and sometimes not loyal to the party." Experts and advocates say the shortfall in the health care program will continue to increase, unless the state creates a funding structure to pay for a higher percentage of health care costs as they rise each year. "We were clear and upfront with the Legislature that even the changes they made this session, although welcome, would not be a long-term fix," said Guthrie said. Over the next four years, legislators will see a TRS-CARE funding gap of $300 million to $500 million, meaning retired teachers could be facing the exact same fight. Disclosure: The Texas Retired Teachers Association has been a financial supporter of The Texas Tribune. A complete list of Tribune donors and sponsors can be viewed here. Clarification: This story has been updated to more precisely describe the state's Rainy Day Fund.